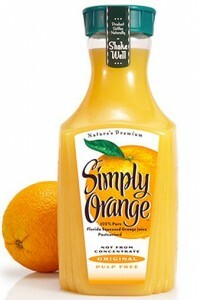 Home > Printable Coupons > Beverage Coupons | Crystal Light, Minute Maid & Simply Orange Coupon! Beverage Coupons | Crystal Light, Minute Maid & Simply Orange Coupon! Check out these awesome new beverage savings! The Simply Orange coupon is a rare one plus it will be a great doubler. Save on Minute Maid juice boxes too, perfect for back to school lunches!